Inspired by true love found in legends, this design is two interwoven patterns that hold an Austrian crystal. 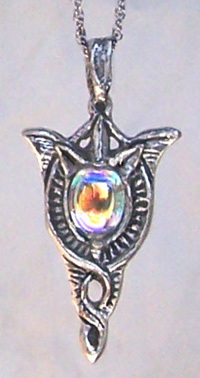 Our graceful Pewter Pendant is 2 1/4 inches long (including the loop for the chain). As with all our Pewter Pendants, it comes with a chain.